Floral embroidery is so on trend this season and I am loving it! From denim jackets to statement boots it is everywhere. Inspired by the 1970s this trend has made its way to the forefront of fashion, evolving from its roots into a more refined and slick form. What I love the most about this trend is how easy it is to replicate yourself, all you need is a needle and thread or a patch to up cycle your old garments into something new and unique! 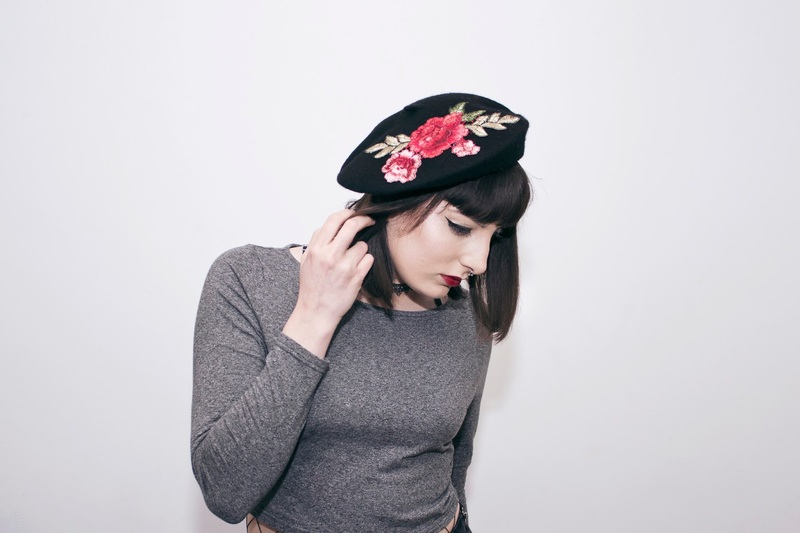 So today I am going to show you how to create your very own floral beret on a budget, it's such a quick and simple DIY that you'll have a chic hat in no time! 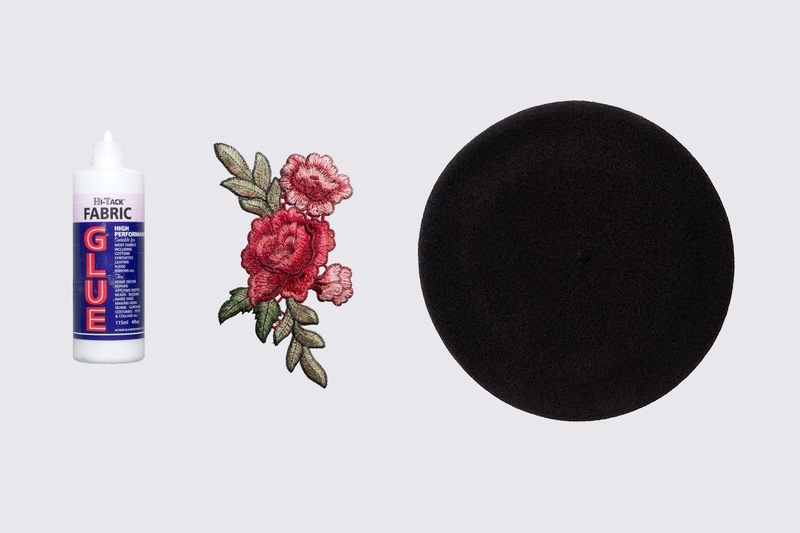 Place your beret on a clean surface with your chosen patch, I got this particular one from EBAY as part of a double pack but there are so many options available, so have a look around for one that takes your fancy. 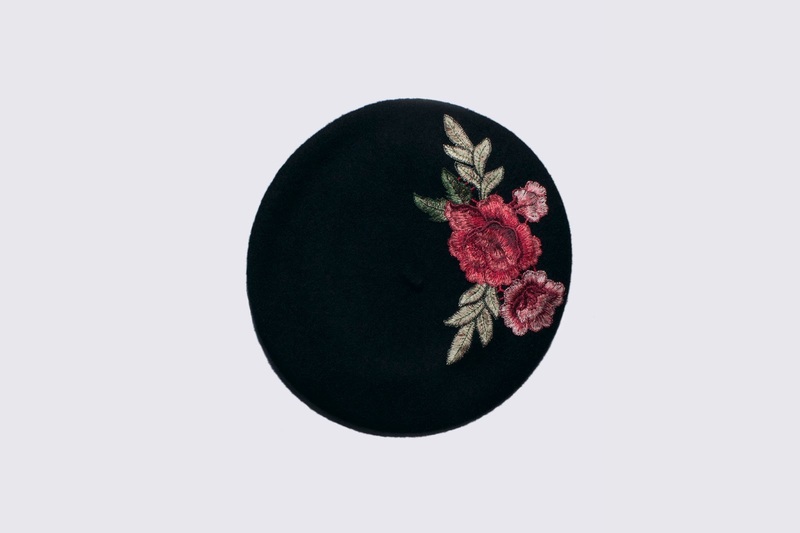 I decided on this patch as it flows perfectly with the circular shape of the beret. Now take your patch and play around with the placement on the beret, once your happy with how it looks grab the fabric glue and stick it down, you'll need to leave it to dry for around 24 hours. It really is as easy as that! 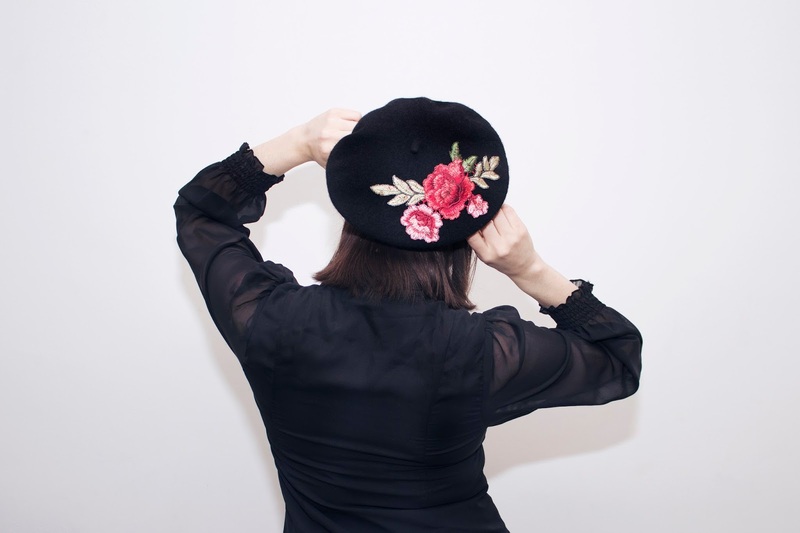 I am so happy with how this turned out, by simply adding an embellishment you can transform a somewhat understated garment into a statement piece that looks so much more expensive than it really is, this entire hat cost me under £10 to make! I really hope you enjoyed this little DIY, let me know if you have a go at making your own! 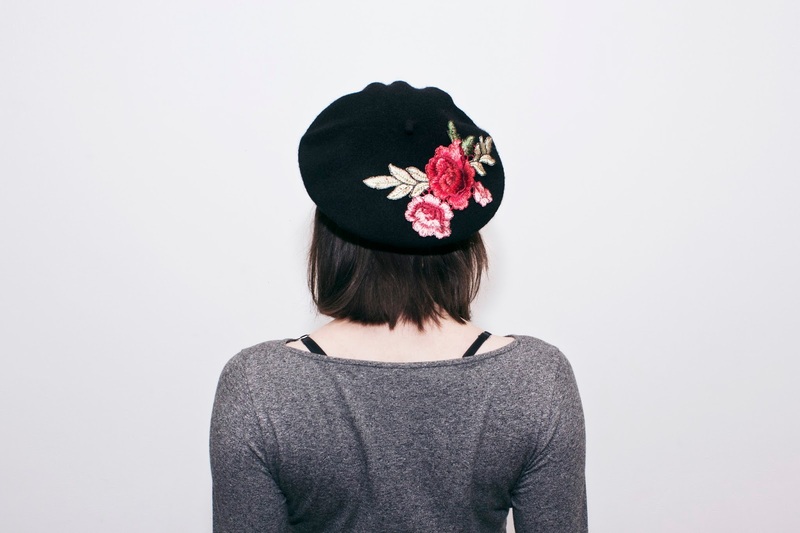 I love berets & I never would have thought of doing this! Looks fab!